Having slept on it, and after receiving a helpful tweet this morning, I realise that the plans for the Guildhall/boatyard area are driven by the need to increase revenue from this prime city centre site. Clearly these old boatyard buildings need to be more income generating. Which got me thinking. 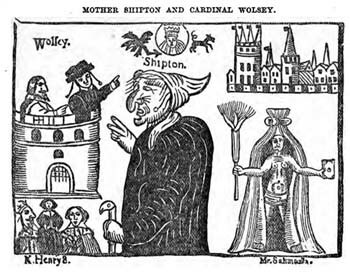 York hasn’t made enough of its tenuous connection to Old Mother Shipton, one-time famous crone and prophetess. 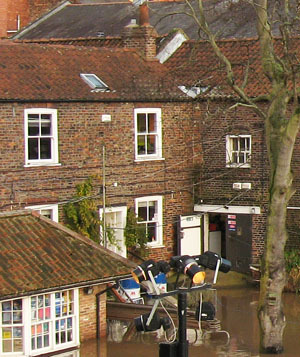 At Knaresborough they have a famous attraction near the river celebrating the legend of old Mother Shipton. She’s supposed to have died in Clifton, and had prophecies about York, but these days is barely mentioned. Clearly that old crone/prophetess thing needs revisiting. We keep the old boathouse and associated structures, and rename the area something like Ye Olde Enchanted Boatyard: see the Clifton Crone ‘Mother Shipton’. That’s me, in costume, and I live there, in the old house, mysteriously shrouded in a cloak, answering questions from tourists and occasionally uttering prophecies of doom. Tourists arrive by boat, or possibly via the spooky tunnel under Lendal Bridge, which would be suitably decorated with strange and creepy paraphernalia. They pay loads of money for prophecy, or a smaller amount for advice on locating the nearest city centre bin or toilet. A regular boat trip runs upriver to ‘the home of Mother Shipton’ at Clifton, where the Old Grey Mare pub renames itself the Old Mother Shipton, and costumed actors re-enact old Clifton scenes like cow milking on Clifton Green. Talk York recently mentioned Mother Shipton’s stone. Long ago rudely wrenched from a Clifton verge, it was given to the Yorkshire Museum. I’m not sure they know where it is. Which is a shame as we really need it back for the idea above to work. By Lisa @YorkStories • 30 November 2012 Histories, Plans & visions To link to this page's proper location please use the > permalink. A perfect proposal. I like it! Can you have words with the right people? Also, I might need a crooked prosthetic nose.